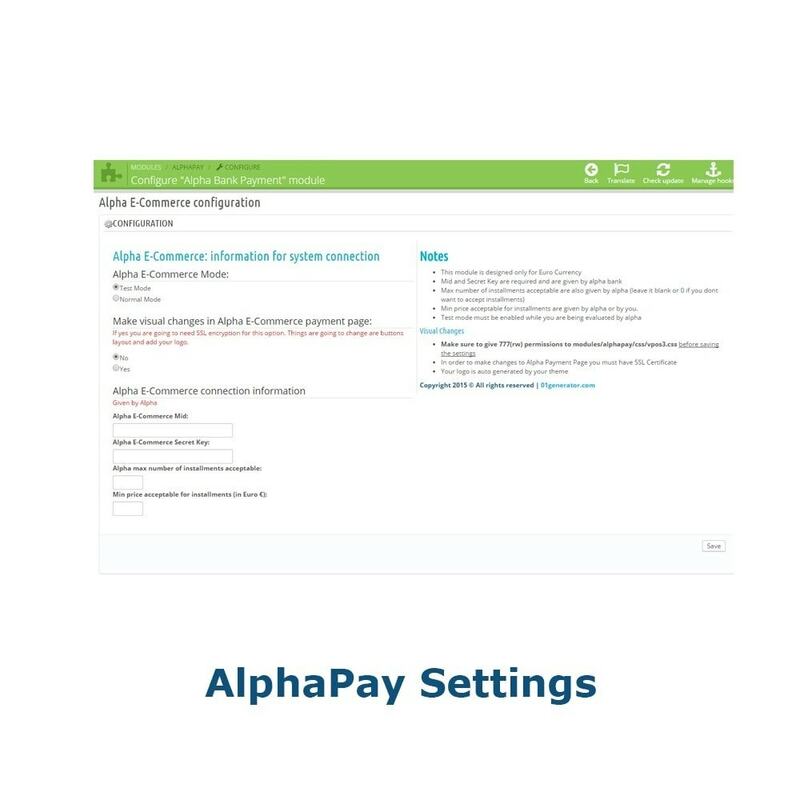 AlphaPay is a Payment module for Greek Alpha Bank. It uses the redirect method to accept credit card payments by collaborating with the banks system. The module also offers the functionality to accept Installments. This PrestaShop module is useful for Greek E-Commerce websites. It will enable you to accept payments from varius credit card types like Visa, Visa Electron, Maestro with aid directly from Alpha Bank. Furtheremore after communication with the bank the module provides the functionality to offer payment in installments. In the latest version there is an extra settings page under price rules admin menu. 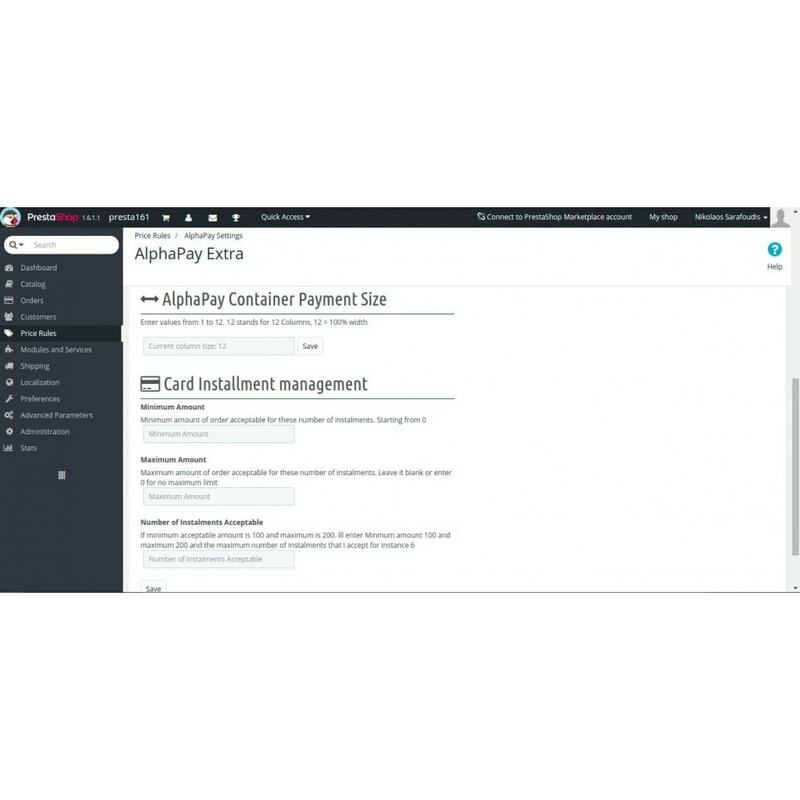 Merchant can change payment image, payment size container, chose to charge with transaction costs the costumer or the shop, and best feature of the version instalment manager. Now add rules to your instalments. 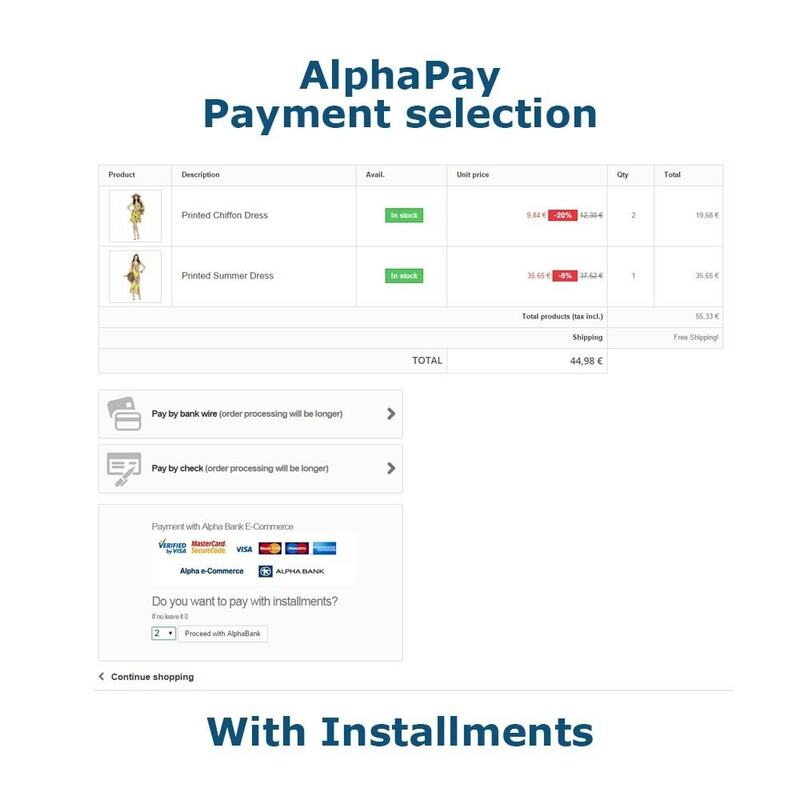 Accept a different numbers of instalmets in different price ranges. If you want to customize the Payment page of Alpha you must have an active SSL certificate! For the configuration of the module, readme files in English are available as well as notes in the configuration page. There is a read me file in Greek which you can find it in the files of the module.